Scheduled for 8th July at around 11.26am EDT Atlantis 12 day mission to the International Space Station will mark a moment in History as the last Shuttle flight. Atlantis will carry a crew of four: Commander Chris Ferguson, Pilot Doug Hurley, and Mission Specialists Sandy Magnus and Rex Walheim. 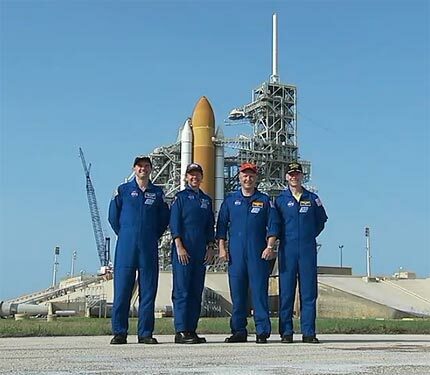 The Crew are completeing their final countdown and dress rehersals for this last final mission at Kennedy Space Centre. They will return to Johnson Space Centre in Houston their home base to complete their training. 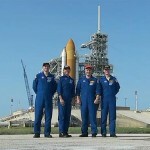 4th of July is when the Astronauts will return to Kennedy space Centre Florida. Work at the Launch pad continues and safety checks are being carried out prior to this final mission. The Kennedy Space Centre Visitor area is open year round, you can take a look around the Shuttle and even experience a launch. As this is a working facility changes in access may occur from time to time. Our Top Tips section has more information.